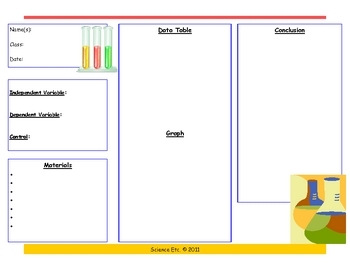 This is a template designed to be used to record data during a scientific investigation. 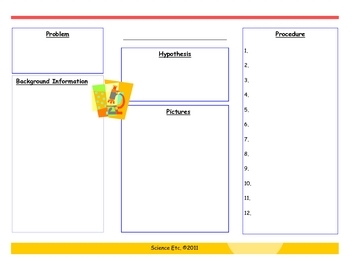 The template includes: problem, hypothesis,background information, variables, materials, procedure, data, and conclusion. 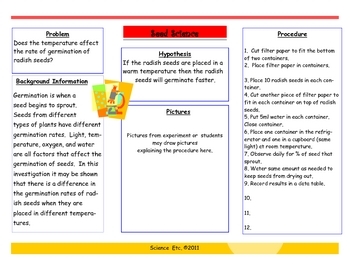 It can be copied like a handout and folded into a brochure like a mini science fair project. 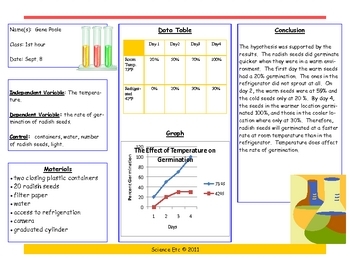 This download includes an example of how the template could be used during an experiment. If glued down the side, it could be included in an interactive notebook.